Our Steel Tempering furnace and ovens are provided for temperature ranges from 300ºF to 1,400 ºF. We can build the best solution for your process needs. 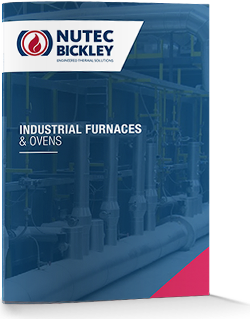 All Nutec Bickley’s furnaces and oves are manufactured with the top standards of quality, all our equipments complies with safety norms to assure your plant process with high quality and efficiency. Our Tempering Furnaces are built with heavy duty and stable steel frame and refractory construction. 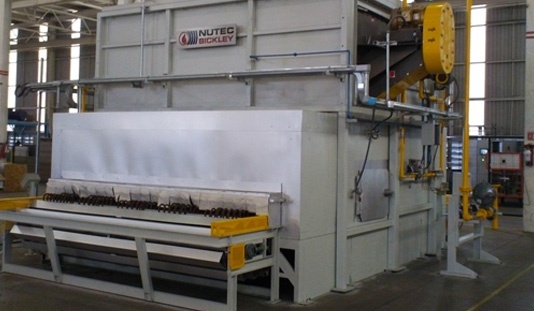 Our Tempering Furnaces are insulated with the best combination available. State of the art instrumentation and control is available for our Steel Tempering Furnace. Best combustion system technology to allow an excellent temperature uniformity is available for our Steel Tempering Furnace.